I like to drive, it’s relaxing. I also like to sing while driving. Today I cruised through the Merced River Canyon on my way to Yosemite National Park and sang my favorite CD songs with Miranda, Josh, and The Band Perry. The yellow trees against the rugged canyon walls were sure signs that fall is well underway. 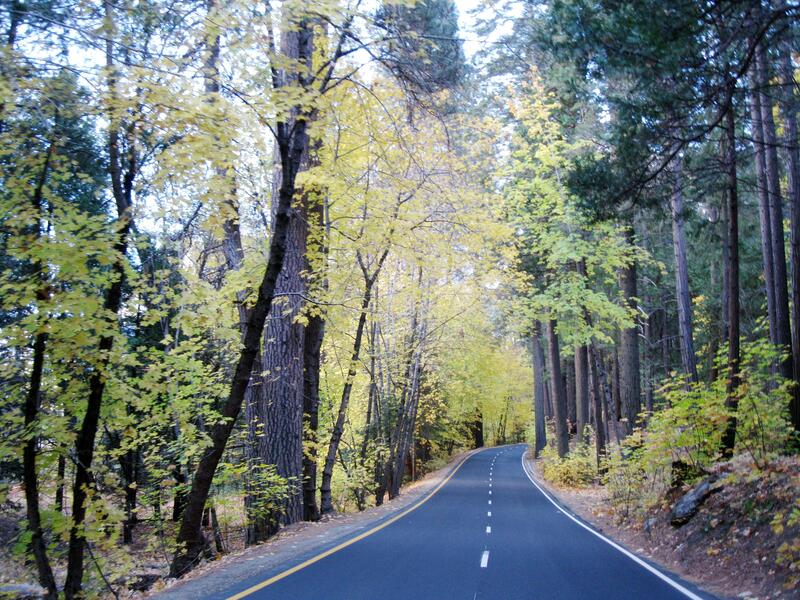 Driving through the colorful trees. 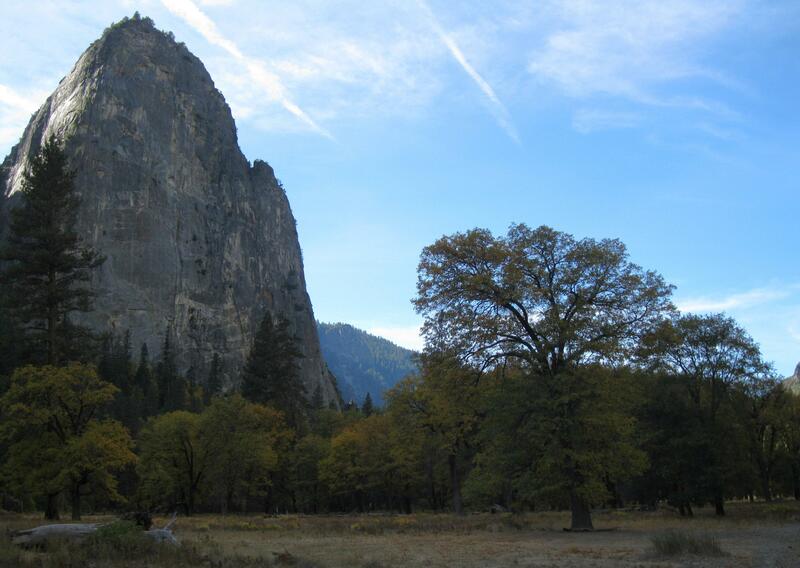 A week ago my long-time friend, Michele, contacted me to say she would be spending a few days in Yosemite. We decided to meet at the Sentinel Dome trailhead. Chris and I hiked Sentinel Dome on the day Michele hiked Half Dome, July 11, 2011. That morning she and I talked on cell phones from dome to dome. The view of Half Dome taken from Sentinel Dome. Together, Michele, her friend Eli, and I–for the fourth time, walked the short distance to the top of Sentinel Dome. It was a cool morning with ice and snow on the road and on the trail, but the brisk walk helped to warm us. After spending a while perusing the view from the top, we headed back to the cars and said our goodbyes. We will meet again tomorrow for another short hike in Yosemite. Taken from the car window. 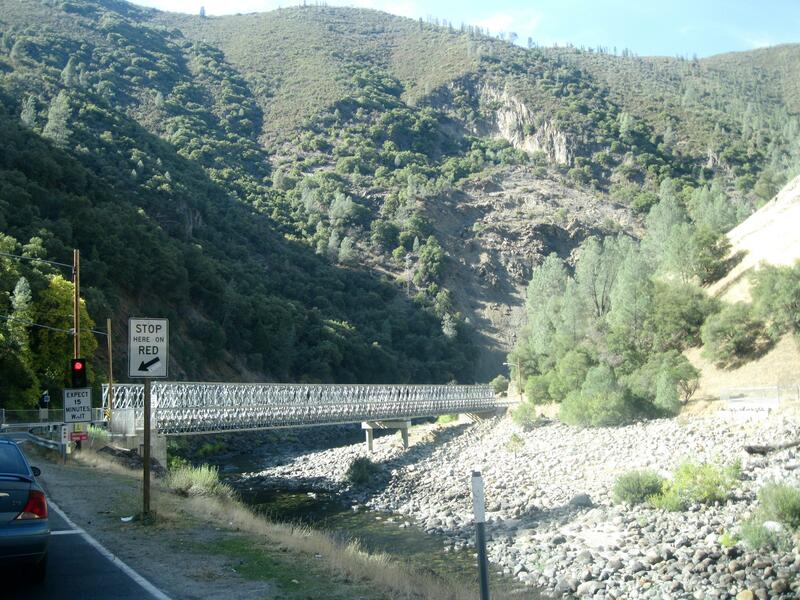 The bridge spans the Merced River. This entry was posted in Yosemite Hikes and tagged Bridges, Driving, Fall, Hiking, Sentinel Dome, Yosemite on November 2, 2012 by Janet. 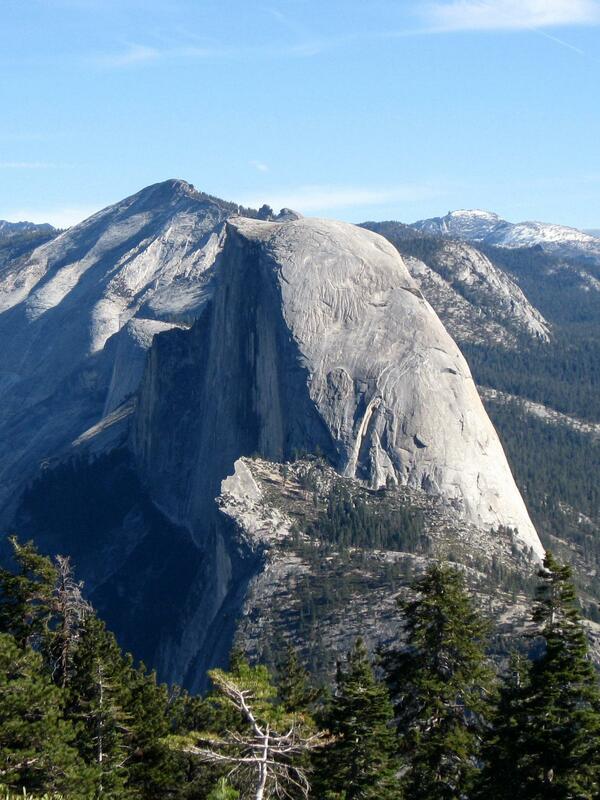 Love the picture of Half Dome. Love these pictures! I always wanted to hike half dome, Ansel Adams made me have a deep love for Yosemite and your pictures is reigniting that! Thank you. Funny you mention that…we talked about Ansel Adams while hiking. Thanks, Bill. The view is definitely priceless. I went over that bridge just 5 weeks ago and now I am so far away. Thank you for sharing. It was nice to see the change in Yosemite in just 5 short weeks. It seems the change happens overnight in some cases. Ah yes…the one-way bridge. We’re glad to have it even though it meant putting in the first stoplights in the county. Yosemite has the best hikes in the world! You better be fully charged if you are going to tackle Half Dome or Mt. Dana. Glacier Point to Vernal and Nevada Falls is fun. And Fresno Dome, on the opposite side of the valley is fantastic too. What are your favorite hikes? Hi there. Thanks for the comment. My favorite hike is the walk to Spillway Lake. My favorite lake is Cathedral Lake. Both are in the high country. However, the stroll through McGurk Meadow tops them all when the flowers are blooming. I’ll have to check out Fresno Dome, not sure where that is. Oh, yes….I love McGurk Meadow! Fresno Dome is off of Tioga Road.